Between May 15 and 18th, a little Channel Island called Guernsey, south of England and west of France, hosted their third annual Guernsey Literary Festival. Once occupied by the Nazis, Guernsey now flourishes, boasting beautiful countryside, fantastic beaches, and some brilliant opportunities for young writers, including the second International Poetry Competition held during the course of the festival. Want to write in the footsteps of Victor Hugo, author of Les Miserablés? Then perhaps Guernsey is for you! There’s fascinating history, with museums such as ones built inside where the Nazis set up camp, winding roads, and a capital of St. Peter Port, with a harbor and regular cruise ships. There is something for everyone. Entries have now closed for this year’s poetry competition, but the three categories were Open Poetry for ages 18 and over, Channel Islands’ Poetry for ages 18 and over, and the brand new Young People’s Poetry for ages 12-17. Proudly sponsored by Browns’ Advocates and the Guernsey Arts Commission, the competition attracted people from all around the world. And what would you win? Aside from competing for a £300 cash prize, 33 people were chosen to have their poems used as a part of the “Poems on the Move” and the “Poems on the Buses” scheme, meaning that your work could be seen by 65,000 people! If poetry isn’t your thing, there were plenty of other events available. With writers such as Cathy Cassidy of The Chocolate Box Girls series and Nick Butterworth of the Percy the Park Keeper books holding events and talking to the crowds, there was at least one thing for even a non-writer to enjoy. Other competitions included a short story competition for children, and a different one for adults, so there was plenty to satisfy your literary dragon. Moreover, the festival boasted plenty of events for teens. Not only can you meet other like-minded people, but you can have fun and learn as well! Although this year’s festival is now over, there is another coming up in 2015, which gives you the chance to make plans to visit! Even if you can’t go, there is always the International Poetry Competition to enter, and, as you can enter up to 6 poems, why not give it a shot? If you’re 17 or under, your entry is free! You never know. Your poem could end up on the side of a bus! 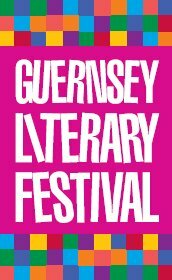 Please visit the Guernsey Literary Festival website for more information. Only just heard about this festival. It sounds amazing. Just the excuse I need to revisit Guernsey. Do you have the dates for next year’s festival? Hi Lynne. Please check their website for more information.